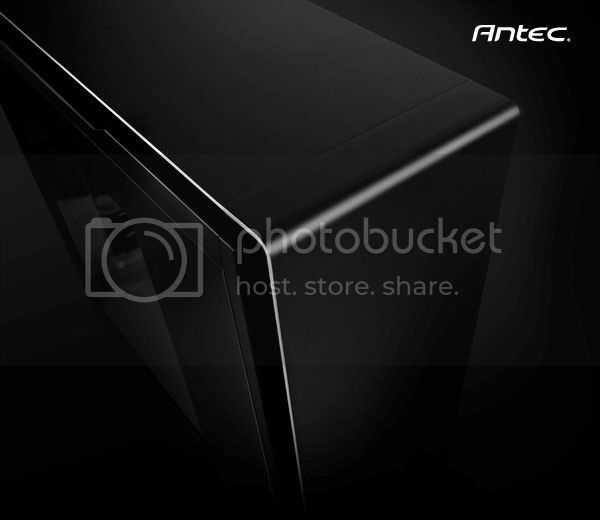 sophisticated cooling and proven Quiet Computing features of Antec's Performance One enclosure series. With its simplicity and elegance, the P380 is a successful blend of the stylish design, sophisticated cooling and proven Quiet Computing features of Antec's award-winning Performance One enclosure series. Like all models in the series, the P380 is equipped with double-layered noise-dampening side panels, creating a system that is almost inaudible even when the fans are spinning at a high speed. With roomy interior, the P380 is compatible with CEB and standard ATX motherboards and includes nine expansion slots to support up to 18.3” long graphics cards. The P380 also offers advanced computing features like dual power / reset button design, grommet-lined cable routing paths, elegant aluminium front panel features two well placed USB 3.0 and USB 2.0 ports, and audio in/out jacks. The case boasts one slim optical drive bay, three anti-vibration 3.5"/2.5” removable drive cages (eight 3.5"/2.5” HDD bays). The chassis support the ability to flip the I/O panel (USB Ports and Audio ports) to either the left side or right side of the chassis for ultra ease of use to enable you to position your chassis either side of your monitor. The front bays all are removable to allow for excellent watercooling radiator support. 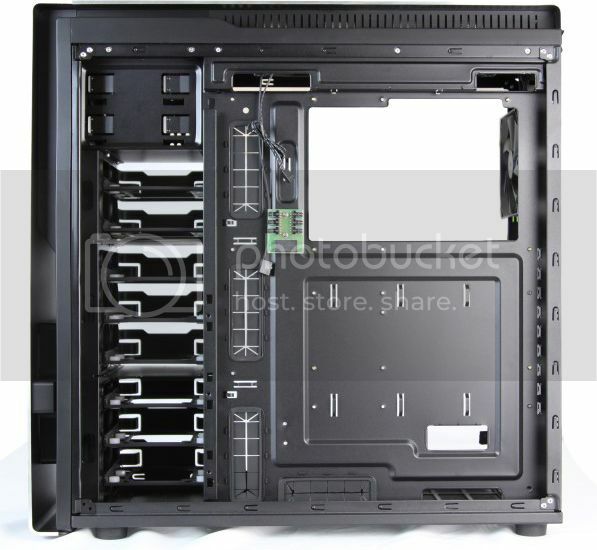 You can mount a 3 bay HDD cage in the base of the chassis in the middle to provide HDD support and full radiator support too. 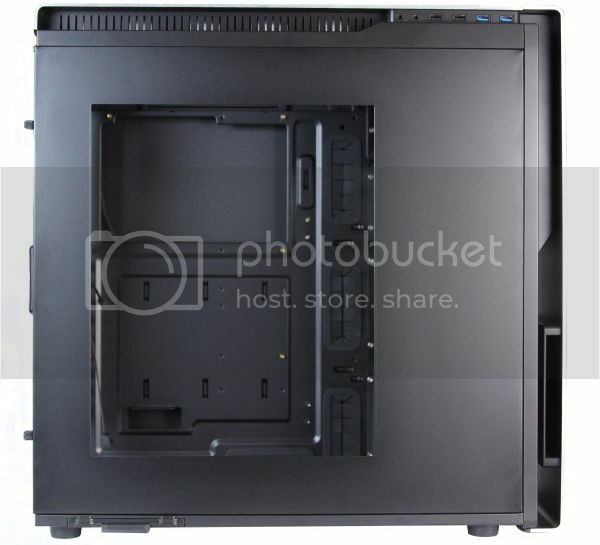 More links for "P380 Performance Series Windowed Tower Case - Black/Gun Metal"
This case is bomb-proof. It is the most strongest and sturdy case I have ever seen. The thick aluminum panels give it the strength it has. Supports good radiator support, something that Antec missed in the past, so it is much more modern in design internally too. Only thing that is missing is a PSU shroud, but that is not the end of the world, only a hand ful of cases offer that currently. The molex to 6 x 3pin fan power spliter on the rear side of the motherboard tray is a god-send, and allows you to install lots of fans for this. The case is very quiet, again due to the heavy duty metal involved. All in all - I'm a very happy bunny with this case, lets just hope Antec can continue with this much better way or cases, with a few little updates this WOULD BE THE BEST case on the market, but as its not 100% perfect I would have to rate it as one of the top 5 cases only. Short version of review on the forum. This is the only good looking full(er) tower with decent noise proofing you can buy. A serious gap in the market, hence the high price. The p380 is a gorgeous case, which is far darker under normal light than the vanity shots, but this makes it look even more sleek and the aluminium offset even more striking. That said you're paying for a trade off between three areas a. looks, b. usability and c. noise proofing. I moved to this case through a fractal r4 and an enthoo luxe and this case has them well beaten on looks. Sadly on usability there are many niggling factors that annoy (the shear amount of screws needed to remove sections, the lack of drive cage position options and a less than brilliant cable management system compared to the enthoo luxe and the newer r5). Noise proofing it's firmly in the middle of the two as an air cooler, if you bring watercooling into the picture I feel it would even have the new r5 beaten simply because it has the spaced aluminium roof encolsure vs. the ridiculous open gap on the r5. 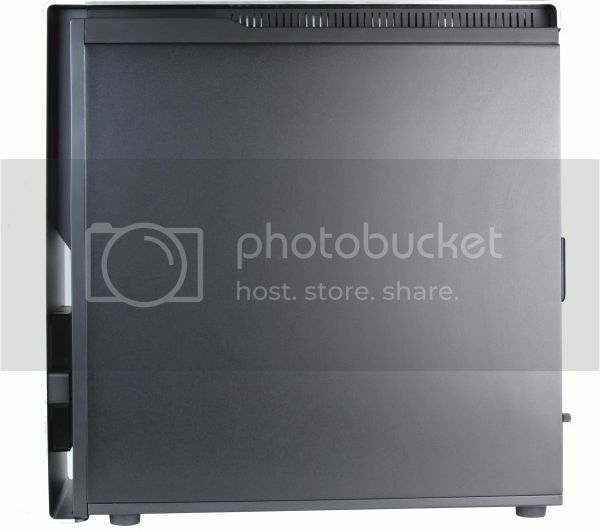 The case is seriously feature light (mine didn't even come with a manual) and lacks industry standard extras at this price point - no motherboard tray SSD mounting, no PSU shroud and the fan hub is not PWM capable.